Remember hurricane Harvey or the California wildfires that not only caused mass devastation among the nearby residents but affected many businesses? I’m sure you do, and it’s worth considering — would your business or company be able to handle a similar situation? Do you have plans and strategies to contend with a flood, a fire, a cybersecurity threat or any kind of operational accidents? Disasters like these definitely can impact business profits, your reputation among customers and shareholders and could create job losses for your employees. Just like any business plan, a business continuity plan (BCP) is incredibly important to make sure your business continues to functions optimally after facing a disaster scenario. A plan designed to keep a business running after any disaster can include planning strategic timelines that will take place before, during or after a disruption. The main purpose of this plan is to identify possible threats that might affect business functions and prepare preventive or responsive actions to help the business recover and bring it back into functionality. A business continuity plan should be as detailed as possible and should be discussed at the ground level to get company-wide participation. It should involve all business areas, should be thorough and should consider all possible threats associated with the business directly or indirectly. Identify objectives and goals: The first step when making a BCP is to find out the objectives and goals that your organization hopes to achieve. Plan out the level of detail, the departments that will be covered, your expected outcomes and a precise budget. A well-defined objective statement should cover the business in entirety. When considering the budget, consider every aspect of the plan so as not to overspend. You should consider any preparation or research hours, training time and materials, or any other associated costs. Select a business continuity team: Select task-oriented teams that will work together closely in a state of emergency. They should provide their contact details, any backup team members should be identified and all shared responsibilities should be well documented. Each member should have their responsibilities clearly outlined to avoid any confusion during implementation. Conduct a business impact analysis: A business impact analysis is an evaluation of the impact that any potential threats could have on each aspect of the business. This analysis is much needed as it provides a better idea as to how each kind of disaster can affect the business or industry and to what extent. The business impact analysis may help identify key business areas and business function so that, in the event of an emergency, more resources can be focused there. This can help the company prioritize, even when the environment might be chaotic. Prevention strategy – These are measures taken before a disaster happens to try to prevent damage from happening in the first place. This can include having alternative vendors or alternate power sources. Response strategy – If the disaster begins impacting the business, the continuity plan response strategy team can jump into action. This could include evacuation plans or ways to ensure data is safe. Recovery strategy – These are the steps taken to bring back business to a normal routine of operations after the situation stabilizes. Deliver testing and training curriculum: Every so often (usually biannually or annually) the BCP will need to be practiced and evaluated. Periodic training should be provided to the BCP response teams and key business employees by conducting drills and simulative test procedures. This will not only ensure that your employees are well trained, but that you can identify any holes in the plan or any changes that need to be made. Determine program maintenance: A periodical BCP update and maintenance is needed to cover any changes in your industry or any new threats associated with it. You can conduct internal audits, but you can also call in an outside source (such as a consultant) to give a second opinion and an outsider’s perspective. If you act early and set up a business continuity plan that is well planned and practiced, your company will be in the best possible situation in the event of a threat or disaster. In today’s world, where threats can come at a company from many different angles (both digital and physical), being prepared can mean the difference between extreme revenue loss or closure and minimal damages. Gaetano DiNardi is the Director of Demand Generation at Nextiva with a proven track record of success working with B2B SaaS brands like Sales Hacker, Outreach.io, and Pipedrive. Gaetano leverages a unique hybrid of expertise in both SEO & Content Strategy to win business results. Outside of marketing, Gaetano is an accomplished music producer and songwriter. One thing that I think is often forgotten when it comes to the business impact analysis is communications. There is no business that can continue to operate effectively while their communications are down. You also may lose the ability to complete other steps of your business continuity plan if you don’t have communications up. There are some cool communication solutions from Teleira that can help. Multiple failovers all backing each other up for the cost of one traditional failover. 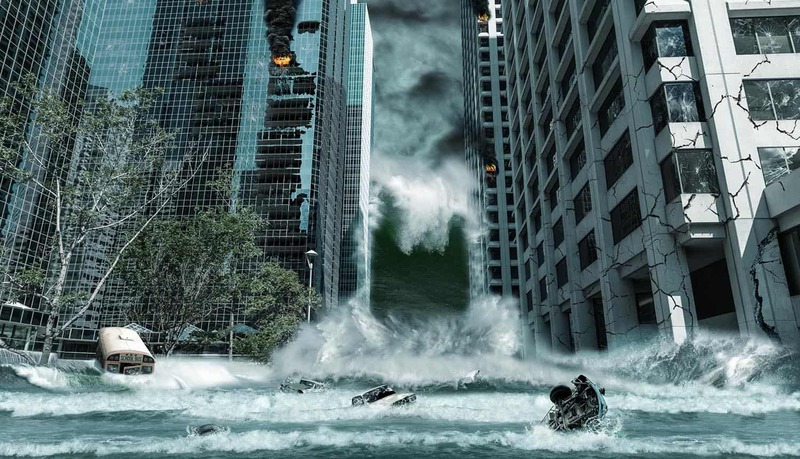 Informative article on going about creating a good business continuity plan..